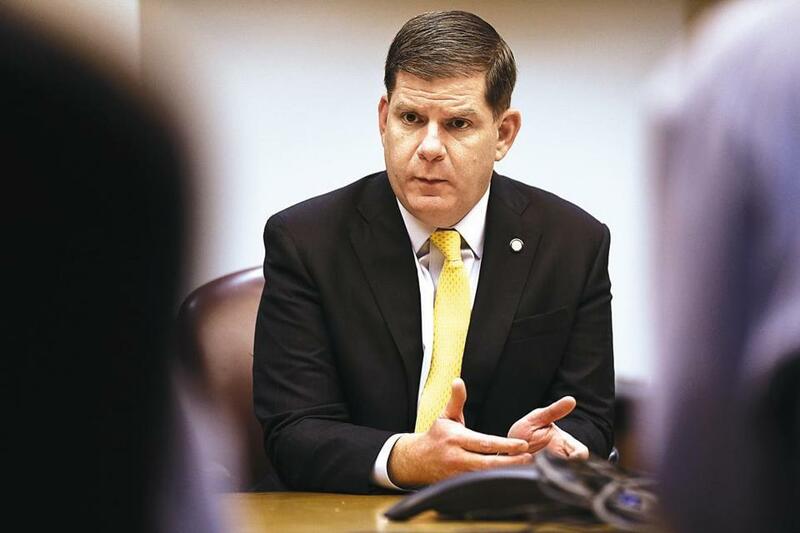 A group of Boston Public Schools parents said Tuesday that newly released documents show Mayor Martin J. Walsh is working behind closed doors to shut city schools. Quality Education for Every Student, or QUEST, released 30 pages of internal city documents obtained through a public records request. The parents’ group says the materials show Walsh plans to use a School Department audit by consultant firm McKinsey & Co. to justify massive closures. “We feel that there is a plan in place that has not been made transparent, and that a lot of it has been based on the McKinsey report,” said Megan Wolf, a QUEST member. Walsh was in China attending a climate summit Tuesday, but released a statement through a spokeswoman. In a separate statement, the School Department said it had no current plans to close schools. “While Boston Public Schools appreciates the analysis of external partners and organizations, one evaluation report will not determine the future of our schools,” it said. Wolf said parents should have a voice in any discussion of closures. Some e-mails released Tuesday show that Ramon Soto, the city’s director of external relations, had early misgivings about what would become one of the most controversial aspects of McKinsey’s audit: the estimate that the district could save $50 million to $85 million each year by consolidating 30 to 50 of its roughly 125 schools. Soto wrote to Rahn Dorsey, Walsh’s chief of education, that he had “major concerns about stating ‘sell/lease 30-50 buildings’ as part of a strategy,” in a message dated Dec. 16, two days before the city publicly released a draft that omitted that element. He was apparently referring to some parents’ concerns that Walsh wants to close district schools and allow charter schools to move into their buildings, in collaboration with the Boston Compact, which represents charter, district, and parochial schools. Soto suggested alternative language that was more vague. The exchanges show close coordination between City Hall officials and the School Department to keep their public statements “on message,” in Dorsey’s words. Jeremy C. Fox can be reached at jeremy.fox@globe.com. Follow her on Twitter @jeremycfox. Update: A comment from the Boston School Department was added to this story on Wednesday.